On bus route 12-15 minutes to Whistler Village and to base of Whistler & Blackcomb ski mountains. Private and comfortable fully equipped suites. Quiet mountain setting in Whistler, British Columbia! Rates vary with length of stay. Additional $125 per booking for 2 single beds in Studio suite. Based upon availability upon request. Minimum stay of 7 nights is required for option of 2 single beds. Must be requested at least 14 days in advance. Minimum stays during holiday weekends or special event weekends. 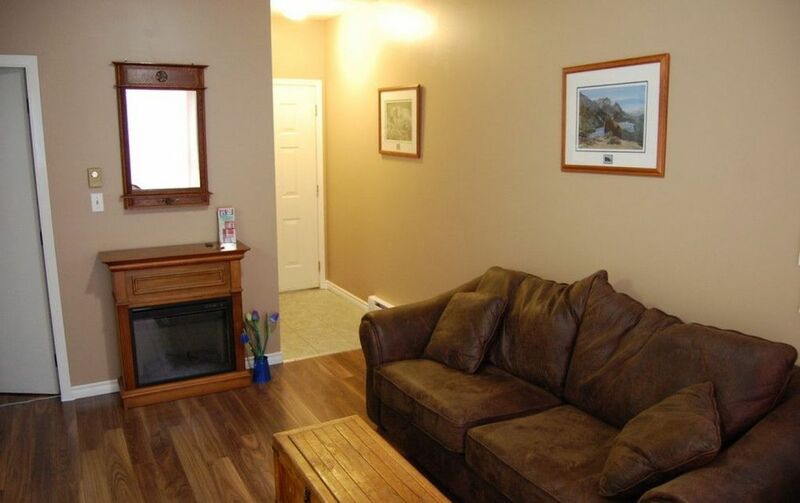 Convenient and quiet location at Whistler Mountain Ski Resort! Year round resort, number one ski resort in North America received over 14 metres (47 feet!) of snow this season! Home of the 2010 Winter Olympics! We book all tours, and attractions. Transfers to/from Vancouver and Vancouver Airport. Discount online ski & snowboard rentals, bike & mountain bike rentals. Rates vary with length of stay. 3rd person, (available in one bedroom suite only) add $25/night Additional $110 per booking for 2 single beds in Studio suite. Based upon availability upon request. Minimum stay of 6 nights is required for 2 single beds. Must be requested at least 14 days in advance. Minimum stays during holiday weekends or special event weekends. Add 5% gst Tax Extra person fee of 25 per person per night after the first 2 guests.